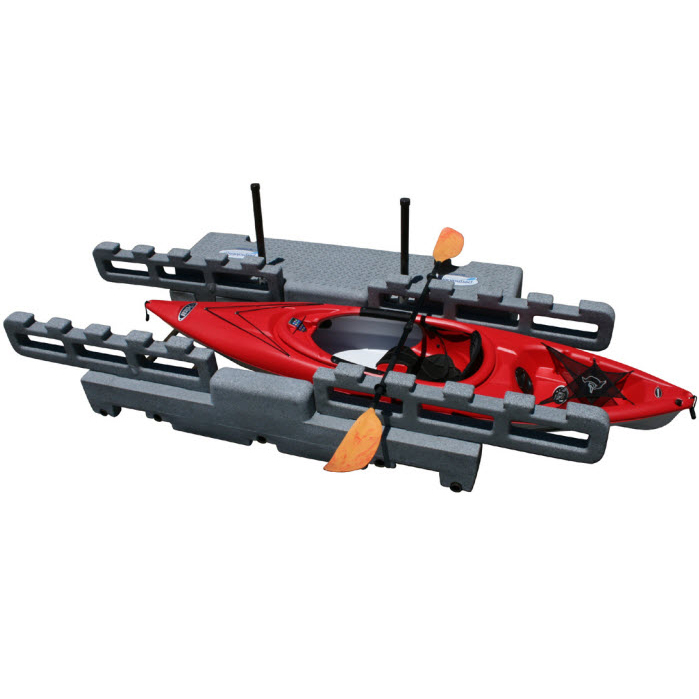 PermaLaunch Floating Canoe & Kayak Dock | BARR Plastics Inc.
Everything about the permalaunch™ was designed for stability and ease of use. The Float Off – Float On Feature’s start with the vessel being partially submerged when boarding. The three middle underwater supports create stability for boarding, yet allow buoyancy in the vessel for ease of launch or retrieval. Custom designed hand rails allow you to use your paddle to effortlessly pull the vessel off the launch, or guide yourself back on. The two outside underwater braces are set lower in the water to allow the vessel to launch or float back on with minimal effort from the paddler. You will be amazed at how easily every member of the family can come and go with the permalaunch™!